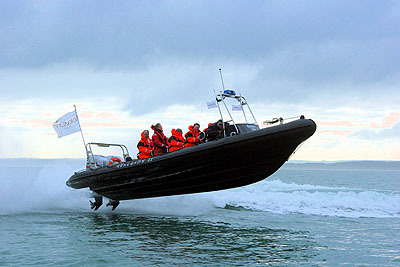 Renegade is an 9m RIB available for a skippered RIB Charter. She Seats up to 12 Passengers including the skippery. Twin 200HP two stroke engines and a solid military grade hull make Renegade an unforgetable experience! Wave jumping or thrilling high speed turns guarantee a day to remember!